When Charlotte Brontë died in 1855, she was a famous novelist. Her literary reputation was high after the success of Jane Eyre, Shirley & Villette. However, her personal life was still a subject for gossip & ill-informed rumour. When Charlotte's friend, Ellen Nussey, read an article that mixed critical acclaim with gossipy innuendo about Charlotte's life, she encouraged Charlotte's father, Patrick, & her widower, Arthur Nicholls, to commission a response that would silence the gossip. Although Arthur would have preferred a dignified silence, Patrick was persuaded & he agreed with Ellen that Elizabeth Gaskell was the right person to write such a response. Elizabeth Gaskell was not only a respected novelist herself but had known Charlotte in the last years of her life. The familiar story of the Brontë sisters begins with Gaskell's biography so, instead of retelling that story, I'm going to focus more on the writing of the biography & its effects on Brontë biography ever since. The book that resulted is one of the greatest biographies ever written about a writer. Gaskell had admired Charlotte & had a profound sympathy for her struggles as a writer & as a woman. She had been just as avid as everyone else to discover the identity of the author of Jane Eyre, which had been published under the pseudonym Currer Bell in 1847. Through her friendship with philanthropist Sir James Kay-Shuttleworth she met Charlotte & they became friends. Gaskell heard from Charlotte herself the sad tale of death & illness that had haunted her family & observed at first hand the struggle Charlotte made to overcome her shyness & her ill-health to enjoy the fame that her books brought her. They corresponded & visited each other so Gaskell was already predisposed to defend Charlotte from any slights when she was asked to write a memoir of her friend. The charge that Jane Eyre was a "coarse" book, unsuitable for young girls to read, was especially offensive to Gaskell & so she was determined to emphasize the dutiful womanliness of Charlotte Brontë. 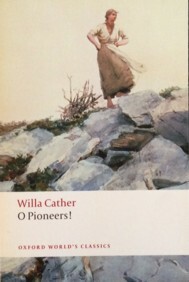 Her book would show that the unique experiences of Charlotte's life & her devotion to the truth had fed into the work & charges of coarseness & unwomanliness were completely unjustified. The publication of the Life caused an immediate storm & scandal. The public's desire to know more about the author of Jane Eyre was amply satisfied by the book although those who felt slighted or slandered were not long in coming forward. Gaskell's research had uncovered the truth behind the Lowood scenes in Jane Eyre & she did not scruple to name names when she described Cowan's Bridge & its head, the Rev Carus Wilson, the original of the odious Mr Brocklehurst. She also retold the story of Branwell Brontë's employment with the Robinson family & believed his story of his passion for Mrs Robinson & blamed her for Branwell's decline into alcoholism & death. 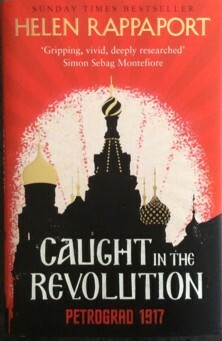 When Gaskell was writing the book, she jokingly asked her publishers, " Do you mind the law of libel. I have three people I want to libel ...". Unfortunately it was no joke when she was threatened with lawsuits by Lydia Robinson (she had remarried after her husband's death & was now Lady Scott) & the family of Carus Wilson. 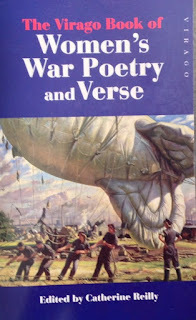 A second edition was already in print but the third, corrected, edition took her months of work & was eventually longer than the first edition. 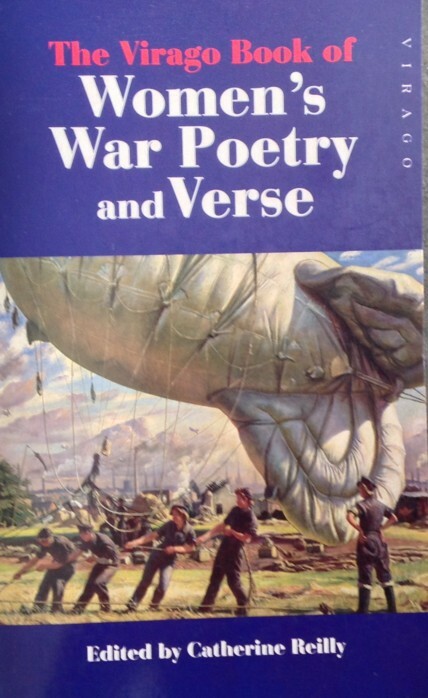 The edition I read was the first edition which has all the libelous bits intact. Gaskell's righteous anger is clear in these passages & also her reliance on the evidence she gathered from Patrick Brontë & Ellen Nussey as well as Charlotte's own letters. Patrick Brontë admired the book & felt that it did justice to his daughter but his reputation suffered as well. The picture of Patrick as a stern misanthrope, cutting up his wife's silk dress & destroying his children's coloured boots as too frivolous, made him seem a crank. Gaskell got these stories from a couple of disgruntled former servants but she was too intimidated by Patrick to ask him for his side of the story. 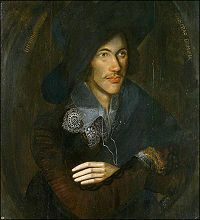 He generously refused to reproach her for the portrait she drew of him & it has been said that his reputation has only recently been rehabilitated by the work of biographers like Dudley Green & Juliet Barker. Gaskell also suppressed evidence that didn't fit with her thesis of a woman made great by suffering. She went to Brussels, where Charlotte & Emily Brontë attended the Pensionnat Heger. Here, Charlotte fell in love with her teacher Constantin Heger, the model for Paul Emanuel in Villette. She wrote him passionate letters which Madame Heger had kept & which she showed to Gaskell. Horrified by this evidence of Charlotte's love for a married man, Gaskell attributed Charlotte's misery during her second year in Brussels to worries about Branwell & her family. The secret of the letters was kept until the early 20th century when the Heger's son donated them to the British Library. One of the great strengths of the biography is the use that Gaskell made of Charlotte's letters. Charlotte's own voice, in her letters to Ellen, to her publishers George Smith & William Smith Williams & to Gaskell herself, is vigorous & alive. Her opinions are pithy &, even though Gaskell edited the letters carefully to remove any details or comments that detracted from the image she wished to present, it was impossible to silence Charlotte's unique voice. Gaskell was a novelist & the narrative reads like a novel, once the early scene setting chapters are past. The story itself could not be more compelling & although she fudged some unpalatable facts & got things wrong, Gaskell's version was substantially true. She may have emphasized Charlotte's domestic virtues over her literary talent, but those domestic virtues were part of Charlotte's life just as much as her work. It wasn't until the later twentieth century that the Brontë Myth (as Lucasta Miller calls it in her wonderful book of that name) of the scribbling sisters in their isolated moorland home was overturned. 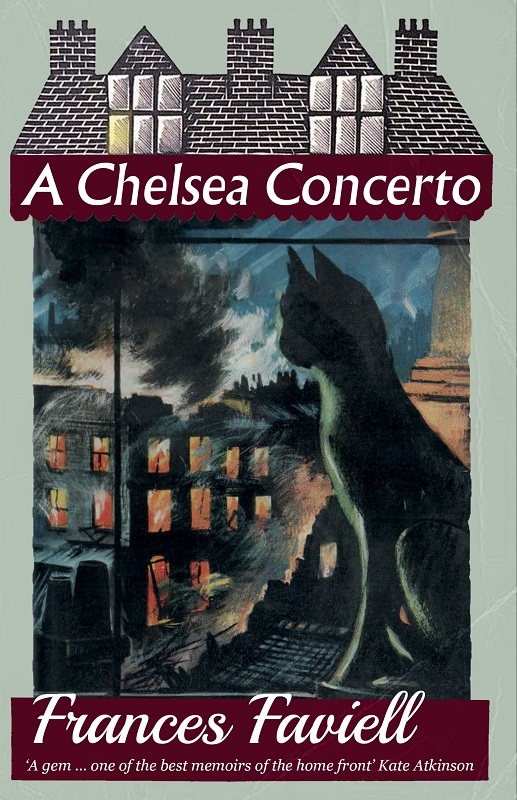 Gaskell's version of Charlotte's life isn't the only one to read if you want a complete view but it's the only biography written by someone who knew Charlotte & who had a profound sympathy for her life & her work, a fellow novelist who admired the work & was passionately committed to the rehabilitation of her memory. 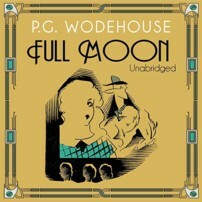 If I mention two words - pigs & imposters - that's really all you need to know about Full Moon, one of the Blandings novels of P G Wodehouse. 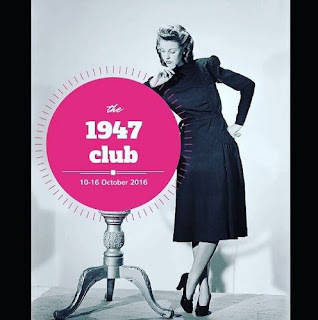 I love Wodehouse & I'm very grateful to Simon & Karen for choosing 1947 for the latest instalment of their Club as it meant I had a chance to read one of his funniest novels. As usual, there are several romantic couples facing opposition from the formidable women of Lord Emsworth's family. His sister, Lady Hermione Wedge, has a beautiful but dim daughter, Veronica, who needs a rich husband. Lord Emsworth's son, Freddie, now a super salesman for his American father-in-law's dog biscuit business, is bringing his friend, supermarket millionaire, Tipton Plimsoll, down to Blandings in the hope of convincing him to stock Donaldson's Dog-Joy in his chain of supermarkets. Lady Hermione thinks Tipton would be perfect for Vee. Tipton falls madly in love at first sight but is misled by Lord Emsworth into thinking that Vee is in love with Freddie. Tipton is also unnerved by a doctor's diagnosis of the spots on his chest as a sign of alcoholic poisoning & warns him of hallucinations & other dire symptoms unless he stops drinking immediately. The fact that Tipton has started seeing a grotesque face appearing & disappearing at frequent intervals is enough to put him off the drink for life. The face in question belongs to artist Bill Lister (known to Freddie, of course, as Blister) who has no idea that he has become the stuff of Tipton's nightmares. 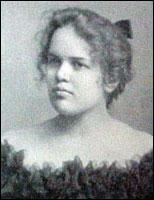 Bill is in love with Prudence Garland, daughter of Lord Emsworth's sister, Dora. Even though Bill has just inherited a pub which Prudence thinks could be very successful with a little work, her mother forbids her daughter to marry an artist & sends Prue down to Blandings Castle to be guarded by her Aunt Hermione. Bill's godfather happens to be Lord Emsworth's brother, the Hon Galahad Threepwood. Gally decides that Bill should follow Prue to Blandings disguised as a gardener & wearing a false beard that makes him look like an Assyrian king. This bid fails miserably when Bill mistakes Lady Hermione for the cook & tries to bribe her with half a crown to take a letter to Prue, but Gally's next idea is even better. He introduces Bill (without the beard) to his brother as Edwin Landseer, the perfect man to paint a portrait of the Empress of Blandings, Lord Emsworth's prize-winning pig. Complications ensue as you might imagine. It's all quite mad but a lot of fun. It was even more fun as I listened to the audio book of Full Moon read by Jeremy Sinden, which was wonderful. Jeremy Sinden is one of my favourite narrators of Wodehouse & I'm sure he narrated quite a few titles but there are only a few available on Audible. It amazes me that the plot components of all the Blandings novels consist of a selection of the following - imposters, thwarted love, the threat of the Empress being stolen or not eating, terrifying aunts, Gally's schemes & Lord Emsworth's dottiness - but they are all so funny. 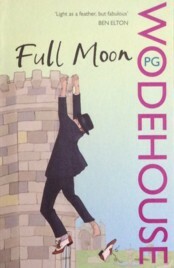 Wodehouse's wordplay is sublime & his way with names can be compared with Dickens. My favourite in this book was E Jimpson Murgatroyd, Tipton's doctor. No matter how complicated the plot becomes, all will come right in the end. My first choice for the 1947 Club is Michael Gilbert's first novel, Close Quarters. 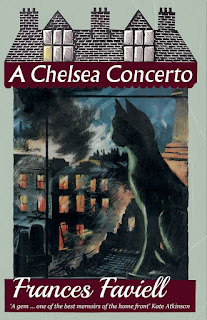 It's an atmospheric murder mystery set in a cathedral close in the years before the Second World War. The Dean of Melchester Cathedral is concerned about a campaign of anonymous letters targeting the senior verger, Daniel Appledown. Appledown is an elderly man who has held the post for many years. The letters accuse him of being unfit for the job & of unspecified illicit activities with the wife of a fellow verger. When the incidents become more public - leaflets in the choristers' music scores & accusations painted on the garden wall, the Dean decides that he needs to consult an expert. 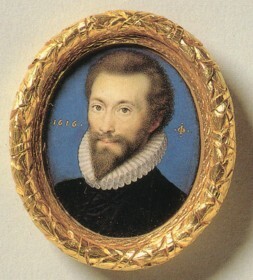 The earlier death of Canon Whyte, who fell from the Cathedral Tower a year earlier, is also playing on the Dean's mind. His nephew, Bobby Pollock, is a Detective Sergeant at Scotland Yard & the Dean decides to invite him down for a few days to look into the matter. When Pollock arrives, the Dean fills him in & describes the residents of the Close. Canons Residentiary, Vicars Choral, Verger & the Choirmaster as well as the Dean, their wives, daughters & servants as well as a black cat called Benjamin Disraeli. There's also Sergeant Brumfit, constable of the Close, who looks after the main gate assisted by his wife & seven children. Pollock begins his investigations, interviewing the other residents & discovering quite a bit about the rivalries & alliances of the inhabitants. Then, Appledown is found dead, murdered by a blow to the head, & Pollock calls in his boss, Inspector Hazlerigg, to assist the local police with the investigation. The crucial time is around 8pm on the night before Appledown's body is found. Everyone in the Close had a regular routine of Church services & duties with the Choir but there are some interesting anomalies on the night in question. Nosy Mrs Judd (widow of a former resident who has stayed on despite all attempts to move her out) sees everyone who comes & goes through one of the entrances to the Close but even she has to leave her vantage point to eat dinner. Rev Prynne was at the cinema; Rev Malthus was supposed to be visiting his ill sister but he couldn't have caught the train back to Melchester that he claims to have caught; Choirmaster Mickie arrives home & tells his wife that he's just seen a ghost; Appledown's disreputable brother, who lived with him, was out with his Lodge on a regular outing & finished off the evening in the pub. Several members of the community claim to have been in the pub or working alone in their study or only have wives & daughters to give them an alibi. Hazlerigg & Pollock believe that the writer of the anonymous letters is also the murderer but what could be the motive? "There's a mind behind this business, make no mistake about that. a very fine brain, cool, calculating, and deadly careful. every step, every single step, has been thought out beforehand. I have felt that once - twice - three times already today. ... the calm and clever thoughts of a man confident in his own ability. ... "Not madness but sanity - a sort of terrible sanity. Wne we discover the truth we shall find it as something simple and obvious. Its simplicity will be its strength. No elaboration - no frills - nothing to catch hold of." "Good gracious me, you don't have to be invited. It's a regular Thursday afternoon 'do'. The Chapter take it in turns, and everyone in the Close rolls up and eats sandwiches and lacerates each other's characters, and all in the most Christian way imaginable. You'll regret it all your life if you miss it." There are definite echoes of Dorothy L Sayers in this mystery, from the elaborate working out of a crossword puzzle to the closed circle of suspects not unlike the similar setting of Gaudy Night. Actually it made me want to immediately reread Gaudy Night & I mean that as a compliment. This is a true mystery of the Golden Age, complete with maps of the Close & a handy list of the main characters. 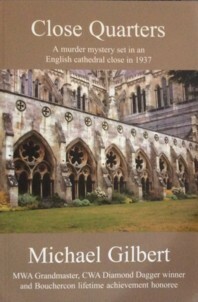 I have a couple of Gilbert's other books on the tbr shelf (one in paper, Blood and Judgement, & the other, The Black Seraphim, an eBook I bought when Christine Poulson recommended Gilbert last year & again it in this great list of books set in Cathedrals). I'm very glad that the 1947 Club inspired me to get this book off the tbr shelves, it was a great mystery & a very enjoyable read. Thank you Simon & Karen. 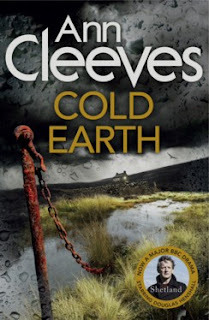 I raced through Ann Cleeves' latest Shetland novel, Cold Earth, this week & loved it. As usual, I had no idea of the solution but I hardly ever do work out the murderer before the detective decides to tell me. There's a great article on Cleeves here. 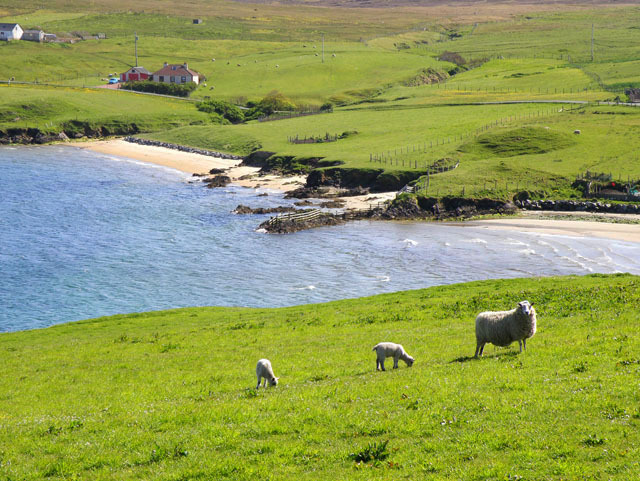 This beautiful photo of the Bay of Ollaberry was taken by Stuart Wilding & is from here. This week's poem is more Highland than Shetland but it is Sir Walter Scott & I couldn't resist the melancholy of Mackrimmon's Lament. Cha till sin tuille means We shall return no more. It's been ages since I read any Scott, I should do something about that - any recommendations? I have a few on the tbr shelves - Rob Roy, Kenilworth & The Antiquary as well as his Journal plus the Complete Works on my Kindle so plenty to choose from! 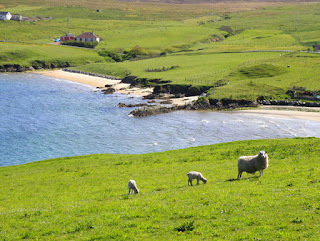 As Mackrimmon sings, 'Farewell to Dunvegan for ever! MacLeod may return, but Mackrimmon shall never! Mackrimmon departs, to return to you never! Though devoted I go - to return again never! Return - return - return shall we never! Cha till, cha till, cha till sin tuille!